The Education Trust-Midwest report “2018 State of Michigan Report: Top Ten for Education: Not By Chance” provides a set of recommendations to improve education and literacy in Michigan. There is one significant recommendation missing from this report: Michigan must support effective school libraries staffed by certified school librarians to improve literacy. There are multiple studies in over 20 states including Michigan which show that access to school libraries with a full-time certified teaching school librarian improves student achievement, regardless of socio-economic or educational levels of the community. In fact, at-risk students benefit proportionally more from the presence of a full-time certified school librarian. A Michigan study found that schools with certified school librarians had 35 percent more fourth graders who scored proficient or above on the state reading assessment than schools without certified school librarians. Information about these studies including other detailed findings can be found here. Yet, Michigan ranks 47th in the nation in the ratio of students to certified school librarians. Michigan schools have one certified librarian for every 3,077 students. As pointed out in the Education Trust-Midwest report, Michigan also ranks 41st in fourth-grade reading based on the average scale score on the 2015 National Assessment of Educational Progress. As of December 2016, only 8 percent of Michigan schools employed a full-time school librarian and only 18 percent employed a full or part-time school librarian. To become a top 10 state for education, Michigan needs strong effective school library programs led by certified school librarians; these professionals develop a culture of reading, support third grade reading efforts, and have a positive impact on student achievement. 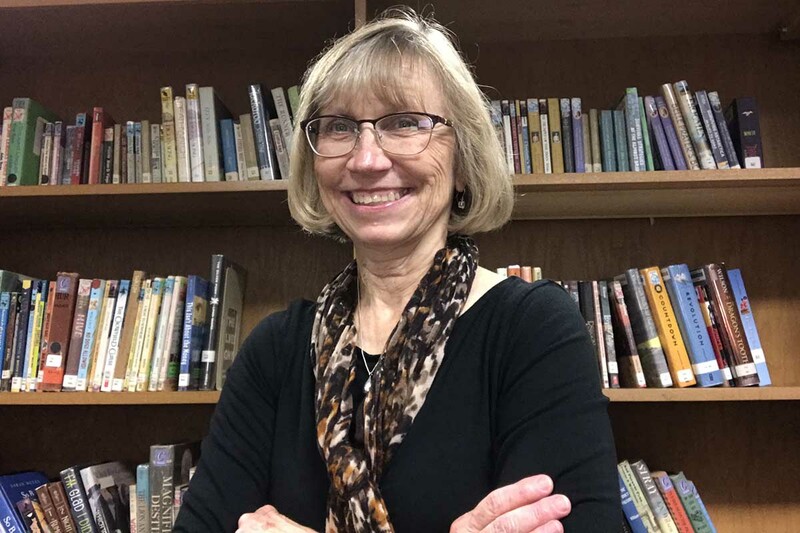 In addition, school librarians help lead technology initiatives in their schools and help develop students that are college and career ready by teaching information literacy skills to all students. Schools with a well-stocked and consistently funded library that is staffed by certified school librarians should be a reality for every child in Michigan, not a luxury reserved for a privileged few. As a society, we prioritize what we value, and when we prioritize school libraries, we are saying that we value literacy and we value our students. Policy makers and education advocates must recommend that Michigan provide equitable access to effective school library programs staffed by certified school librarians for all students in our state as they discuss and advocate for improving education in Michigan. How well we know that in Crystal Falls, where we have had no librarian for the last 20 years. The library has stayed open, however, through the actions of a couple of retired teachers (and a retired librarian) who could not stand to see this valuable resource go to waste and the students negkected. We not only write grants to keep the library materials current; we invite classes for formal library visits 2 days a week. But we won't last forever. When we must leave the library, who will take our places? What does it say about an education system that fails to have a library in schools? It is essential, especially in communities with high numbers of poor students and students with disabilities or other at-risk factors, that schools have libraries and librarians. They also need literacy coaches, social workers, counselors, and smaller class sizes. Unfortunately many schools cut many if not all of these services during the past 15-20 years, and despite all of the talk about increased school aid they have not all been restored. The report of the School Finance Research Collaborative (fundmischools.com) makes recommendations about these kinds of essential services and the funding needed to maintain them. If we are serious about literacy and about becoming a leading state in public education for ALL children we need to step up for our students now. I wonder why librarians is missing from the Education Trust-Midwest report? We do need to understand what will happen when we start holding back students in 3rd grade because they aren't reading at grade level. No one really knows what grade level means anyway and it depends on what one is reading, when he/she is tested and how. You get what you pay for. Those were the days my friend we thought they would never end, well they did. The comedian the other night said give every teacher a gun, then they could sell it and by supplies. Hire more coaches that is where you can generate more Dollars. How truly sad. "A Michigan study found that schools with certified school librarians had 35 percent more fourth graders who scored proficient or above on the state reading assessment than schools without certified school librarians. " Your conclusion is a perfect example of Post hoc ergo propter hoc. Certified librarians are ideal. Yet even devoted literacy-proponents with love for education, a passion for reading and a love of books would be a welcome addition to equation. Reading literacy is one of the most important keys to a life worth living. Exactly right. The test-based focus on skills has superseded the joy of reading for pleasure and information. Thanks for a good piece. Michigan teachers support the need for media specialists. The wrong questions are being address. The questions are what can/will be done in the libraries that will contribute to instilling a desire in the individual student a desire to read more? What will be done in the library or by the librarian that ill establish a place and time where the student can/will read more? Learning is a personal thing, it driven by what the student does that makes them learn. Reading skills make learning so much easier, more effective, more rewarding, and it make learning more beneficial as an adult, in a career. The broad numbers are an aggregation of data, not a direct relation of the library or its programs to the student's learning. If we are to reinstate school libraries, we need to hear how they will work [programs and purposes, means and methods and performance metrics]. Libraries were created when access to books and the ideas in them were very difficult and not available to most. Today ideas and even books are as close a person's electronic device. We need to hear how the Liberians and libraries will help the student improve their reading skills, will uses libraries, and how they will help students learn to draw the important information form the books and apply it. Don't justify libraries with broad numbers, frame as with direct personal impact and make that impact immediate and relatable. It would be interesting to know if the increase in achievement in schools that have maintained librarians is, in fact, due to the presence of a librarian or the fact that those schools were more affluent and as a result could afford a librarian as well as other supports. How many schools funded at the lowest end of the formula have maintained a librarian compared to those schools who are funded at the higher ends of the formula? Is it a librarian issue or a financial issue? As one of the library media specialists whose job was eliminated in 2005 I wholeheartedly concur. I taught in a 3rd grade classroom for my remaining 5 years, greatly missing the media services we had provided. I’ve volunteered in our school ‘s library the last few yrs and they finally cut the librarian’s position after continued cutting of library hrs- truly sad because no one can foster a love of reading besides parents like a library can.